Federal Land Inc., the real estate arm of Metrobank, recently launched condominium developments that will surely becomes landmark in Philippine cityscape. Federal Land offers signature developments that have generously spaced and functioned areas, state of the arts stylish designs, complete amenities and vibrant communities for its residents. Dubbed as the Venice of the Philippines, Four Season Riviera is an elegant space complete with high-rise residential towers, beautiful boardwalk, shopping strips and lush parks; all complemented by the soothing presence of the majestic Pasig River. These features made seaside destinations like the city of Venice in Italy, Harbor City in Sydney or the French Riviera in France a major property investment and a haven for luxurious living. Four Season Riviera is a master-planned community composed of four 30-storey condominium towers developed by Federal Land Inc. The first tower, Plum Blossom, was launched in December 2010. Combining both the old and new, the Four Season Riviera incorporates in its design modern homes inspired by the French Riviera in an atmosphere that calls to mind the vibrancy and spirituality of Chinese culture. Four Season Riviera will reshape the skyline of Manila and will become a benchmark in luxury living. Visit http://fourseasonriviera.com/ for more information. In this well-planned community in Paco Manila, Federal Land recently launched the third tower, Maple Tower, in January 2011. Residents of the first tower, Molave Tower, will enjoy their new condominium this year while Mahogany Tower’s residents, the second tower at Peninsula Garden Midtown Home, can expect to move-in next year. Federal Land envisions Peninsula Garden Midtown Homes to be a premier community in Manila and is the first master-planned development in Paco. The Peninsula Garden Midtown Homes brings condominium living to the residents of Manila without compromising the unparalleled appeal of nature. The eight residential buildings are interspersed with manicured gardens, rows of lush flora, and soothing water elements. The entire property is bordered by waters, which, according to feng shui advocates, is considered to bring good fortune to its residents. Visit http://thepeninsulagarden.com/ for more information. In January 2011, Ibiza Tower was launched by Horizon Land, a subsidiary of Federal Land Inc., in Tropicana Garden City along Sumulong Highway in Marikina City. Ibiza Tower is one of the nine residential condominium towers on this well-planned Spanish-inspired community. 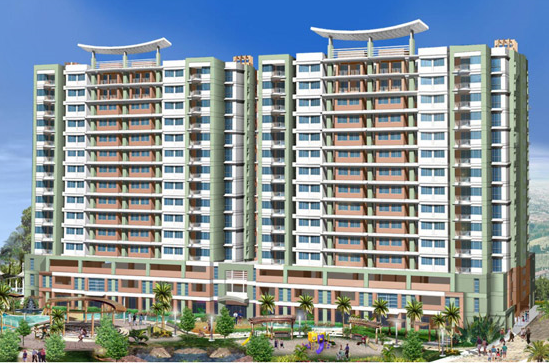 Tropicana Garden City is considered the next evolution of Marquinton Garden Terraces. Tropicana Garden City is where the romance and mystique of the Old World come together with modern facilities and amenities. Tropicana Garden City offers Green Architecture that foster preservation of environment and respectful of mother earth, while allowing its residents the freedom to live a modern life. 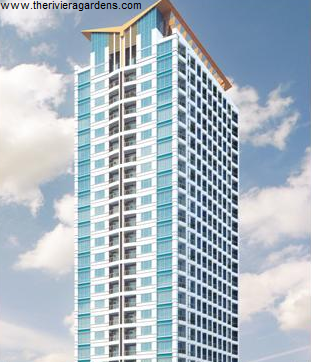 Ibiza Tower at Tropicana Garden City is a 15-storey residential condominium with 154 units. Visit http://tropicanagardencity.com/ for more information. In Quezon City, Beijing Tower, the second installment in this 3-tower condominium development called The Capital Towers was launched in the last quarter of 2010. Beijing Tower is anticipated to flourish just like its predecessor, Athens Tower. The Capital Towers will surely redefine Quezon City’s skyline. Beijing Tower is a 38-storey development caters to varied markets, and designed for urban residents who yearn to transform ordinary condominium living into hip lifestyle that gives them the freedom to live and breathe. The upscale residential development is situated along E. Rodriguez Sr. Avenue in Quezon City and offers accessibility to resident’s places of interest. Visit http://thecapitaltower.com/ for more information. Bay Garden Club and Residences is an exclusive three-tower multi-phase resort-inspired condominium development where everything is within arm’s reach – leisure, relaxation, health and entertainment. 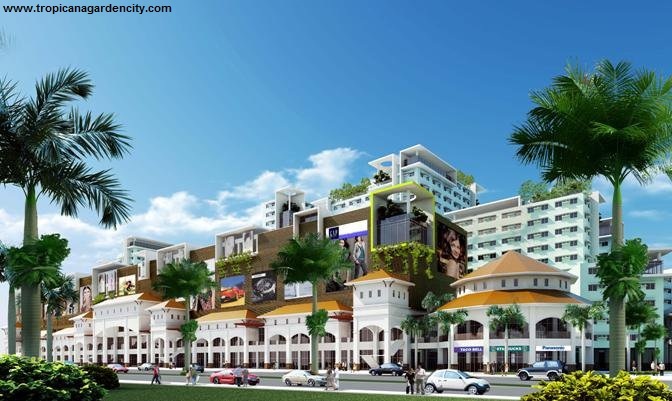 The second tower, Royal Palm Tower, was launched in November 2010 after the success of its first tower, Banyan Tower. Conveniently located at Metropolitan Park in D. Macapagal Boulevard, Pasay City, this upscale development lets residents enjoy a stress-free vacation-like lifestyle in the city, complete with supersized modern amenities, luxurious facilities and a breathtaking view of the Manila Bay, only for the privileged few. Visit http://baygardenclub.com/ for more information. Along Governor’s Drive in General Trias, Cavite City, Florida Sun Estates is Federal Land newest master planned community in the sunny suburbs of Cavite. This new community is inspired by the tropical state of Florida in the United States and was launched only in February 2011. Florida Sun Estates featured clustered development – residential subdivisions, low-rise residential buildings, and commercial developments complemented by wide open spaces, lush greenery and resort-type amenities to enjoy the Florida lifestyle in your home. Florida Sun Estates will be a landmark development in Cavite City. In December 2010, Federal Land launched The Residences in the charming expanse of Nivel Hills in Cebu City, the most desirable address in Cebu City. The Residences is the first of the five-tower residential project which is located just beside the popular Marco Polo Hotel. Because of the widely success of The Residences, Federal Land launched in February 2011, the second tower in this luxury condominium complex, Two Residences. Once completed, these new luxury address in Cebu will offer international-class facilities and the personal services and warmth of the Marco Polo brand – a perfect living environment for expats, business travelers, upwardly mobile families, as well as seasoned leisure-seekers looking for the most exquisite vacation experience that simply never ends. Visit http://theresidencescebu.com/ for more information. In March 2011, Federal Land and Robinsons Land Corporation, two of the Philippine’s most stable and respectable real estate companies with an impeccable track record and a reputation for integrity, announced their first join venture to develop Axis Residences. Axis Residences is a two-phase multi-tower condominium development in Pioneer Street Mandaluyong City. The first phase features two-tower residences on a 21,109 sq.m. lot. Axis Residences is nestled right in the middle of the capital’s major business districts: the Makati Central Business District, the Ortigas Business District, and the fast rising Bonifacio Global City. Being right at the axis of where everything happens, it is also within proximity to all major commercial areas that house entertainment, shopping, dining, and recreational establishments. Being very close to EDSA – the metro’s main thoroughfare – it is very accessible via all the major transport systems. Visit http://axis-residences.com/ for more information. This entry was posted in Cavite, Cebu, Makati, Marikina, Pasay, Quezon City and tagged cavite condo, cebu condo, condo Philippines, condominium federal, condominium Philippines, federal condominium, federal condos, federal land, federal land condominium, federal land condos, federal land properties, federal properties, makati condo, manila condo, marikina condo, pasay condo, Philippine properties, philippinPhilippine condominium, pre-selling condo Philippines, property for sale makati, property for sale manila, property for sale Philippines, quezon city condo, real estate makati, real estate manila, real estate Philippines, retirement homes asia, retirement manila, retirement Philippines. Bookmark the permalink.